Many of you know I became a grandma (or Lolli) a month ago today. This is my sweet grandson, Ace. 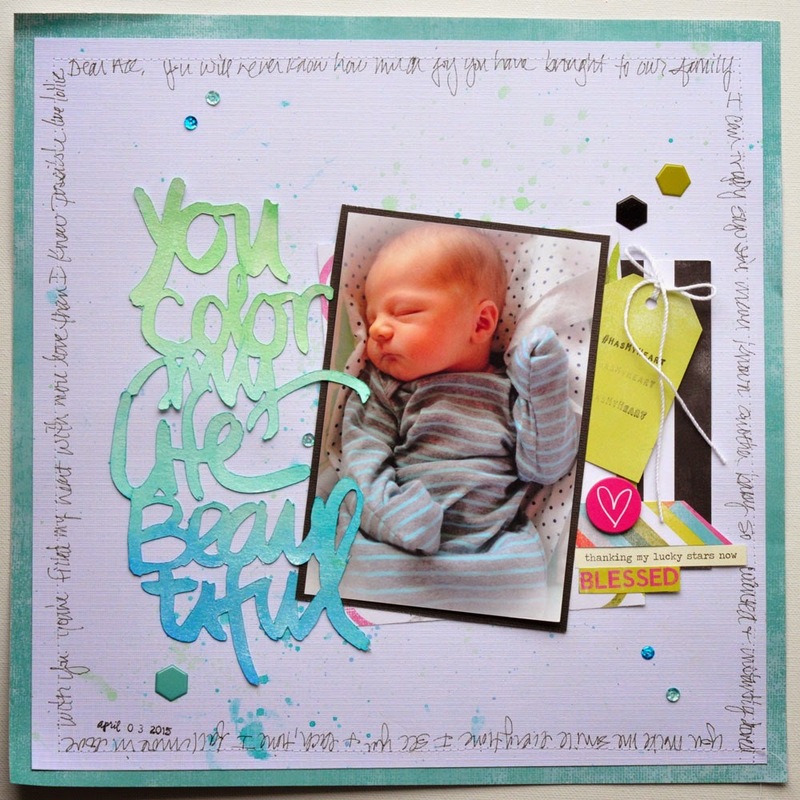 I had so much fun creating this layout. 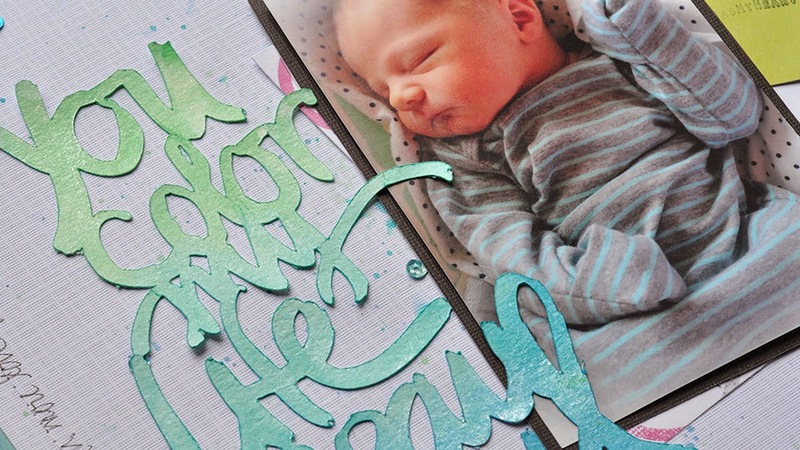 It's been a long time since I've had new photos to scrap and this little man was just the inspiration I needed to get back into the craftroom and try something different. I cut the title out of watercolor paper using my Cricut Explore. Here's a video of this layout. I encourage you to try the watercolor paper on the Cricut. LOVE IT!